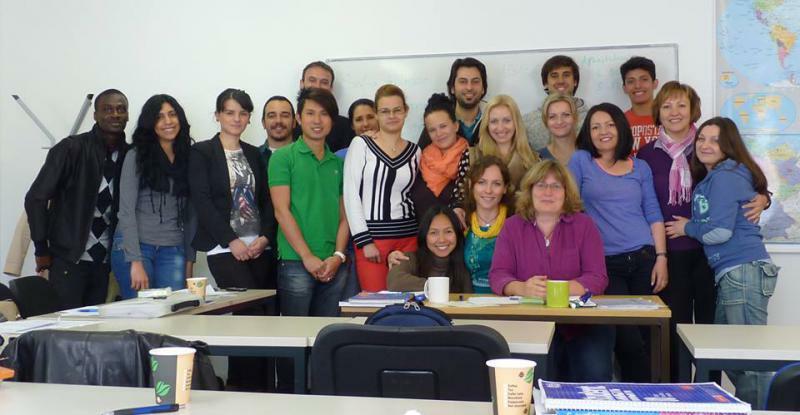 ADK is a leading private language institute in Germany and a certified school. 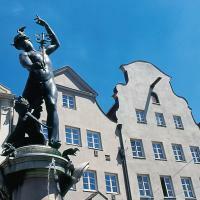 ADK is located in the city centre of Augsburg, a 2000 year old city near Munich. We offer German Intensive courses all year, summer courses for teenagers, Business courses (Intensive Plus) and exam preparation. 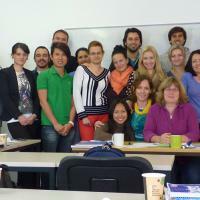 All teachers have University degrees and are experienced in teaching German as a Foreign language. No enrolment fee, registration "last minute" is possible. 6 course levels all year from A1 to B2. "La scuola che si trova in una zona centralissima di Augsburg. La cosa che non mi è piaciuta è stat..."
Learn German with ADK, a certified school. Rapid learning success, experienced teachers. Up-to-date teaching material, regular tests, personally tailored learning content. German Intensive courses all year round on 6-8 different levels from beginners (A1) to advanced (C 1) in small international groups. We work with current textbooks in several volumes, so that you can continuously progress through the course. Our teachers enhance the lessons with material which is individually drawn up – didactically and methodically. The climate at our school is very collegial and supportive, the activities in the classroom are also student-driven. 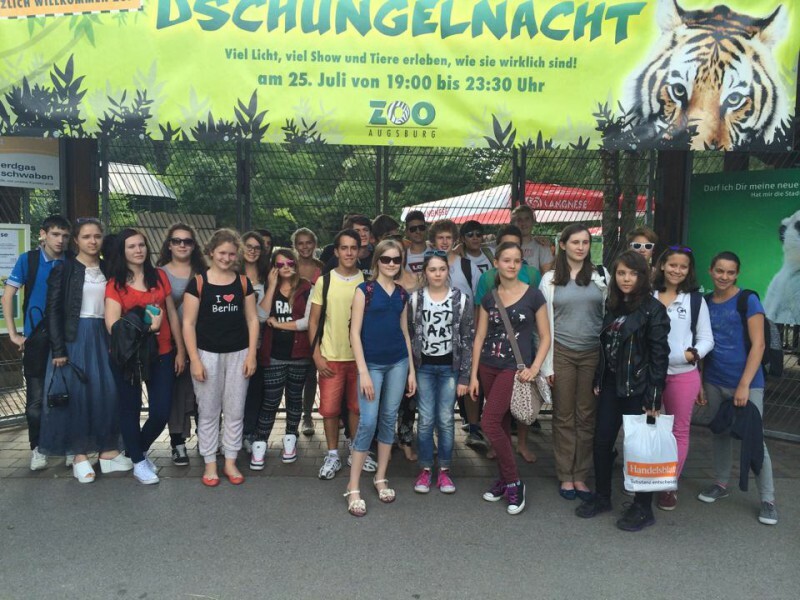 Living with a German homestay family offers an insight into a new culture: we find suitable families for our students according to age, hobbies and personal wishes, and friendships for life are often formed. Students of the same nationality never live with the same homestay family at the same time, and it never takes more than 15 minutes by public transport to reach the school. 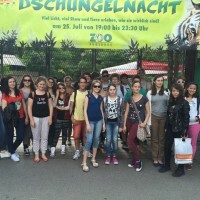 We send you the address of your homestay family for the duration of your stay in Augsburg. Living with a family gives students the opportunity to practise what they have learned during the lessons. What could be a better way of putting what you have learned into practice than discussing your plans for the day with your homestay family at the breakfast table, experiencing their way of life, or telling them about your home country over dinner? Whoever lives with a German homestay family gains more than just an insight into a new culture. Living with a family gives students the opportunity to practice what they have learned during the lessons. What could be a better way of putting what you have learned into practice than discussing your plans for the day with your homestay family at the breakfast table, experiencing their way of life, or telling them about your home country over dinner? Whoever lives with a German homestay family gains more than just an insight into a new culture. Distance from the airport: 100 km. - In case a visa is refused to the student, the school will charge 100,00 Euro and the remaining balance will be refunded to the student upon receipt of an original VISA refusal letter. If we are obliged to cancel a course in advance due to an insufficient number of students i.e. we will refund all fees. We are unable to make further recompensation. There will be no class on bank holidays. Please note that the Augsburger Deutschkurse cannot accept liability for personal injury and/or damage to property. Most recent booking for this school was from Nigeria and saved €21.00!